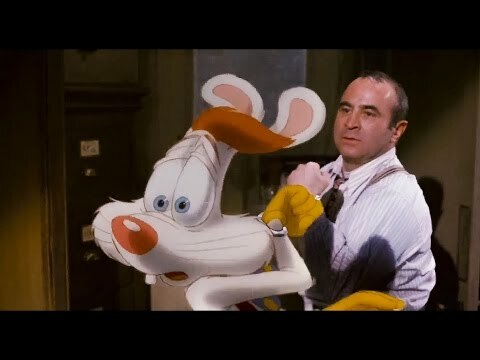 It's 1947 Hollywood, and Eddie Valiant (Bob Hoskins), a down-on-his-luck detective, is hired to find proof that the owner of Toontown is playing hanky-panky with femme fatale Jessica Rabbit, wife of cartoon superstar Roger Rabbit. When Acme is found murdered, all fingers point to Roger who begs the Toon-hating Valiant to find the real evildoer! Starring the greatest cartoon stars in history: Bugs Bunny, Mickey Mouse, Donald Duck, Woody Woodpecker, and more! The owner of Moron Mountain Amusement park is determined to turn the Looney Tunes gang into his latest attraction whether they like it or not! But he hadn't counted on the clever antics of Bugs Bunny and company or the unbeatable basketball skills of NBA superstar Michael Jordan. 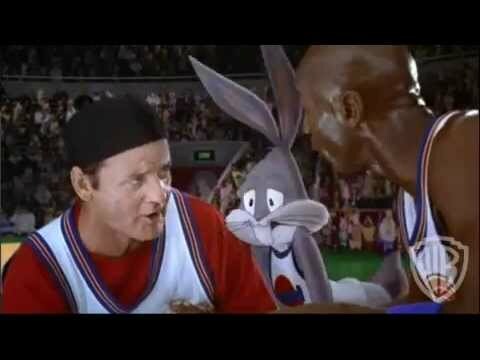 Jokes and big laughs take the court in this action-packed film that pits the Tunes team against the monstars. Lots of guest appearances from NBA greats, including Larry Bird, Charles Barkley, Patrick Ewing, Muggsy Bogues, Shawn Bradley and Larry Johnson.